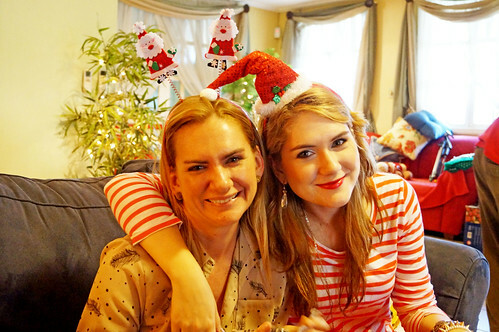 The Joy of Fashion: Christmas Day! 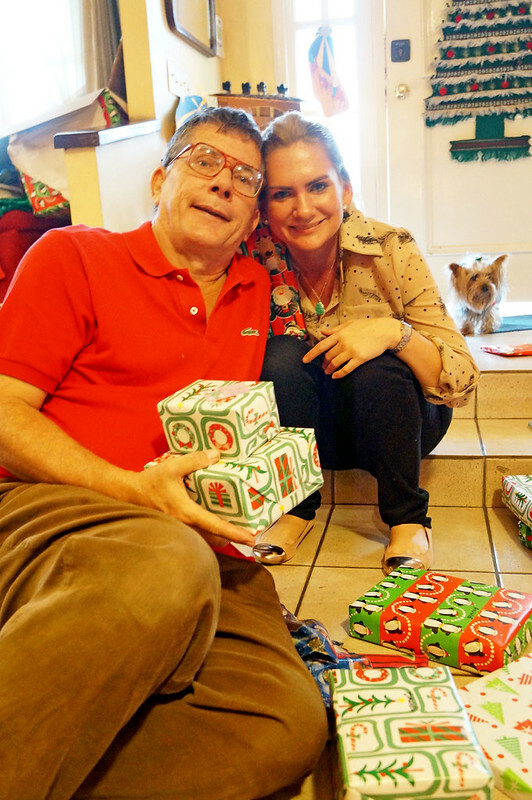 Here's a look at all the fun we had on Christmas day!! Oh, how I love Christmas! It is such a special time to get the whole family together and celebrate. I love each and every one of the members of my family and I'm so grateful to have them in my life. 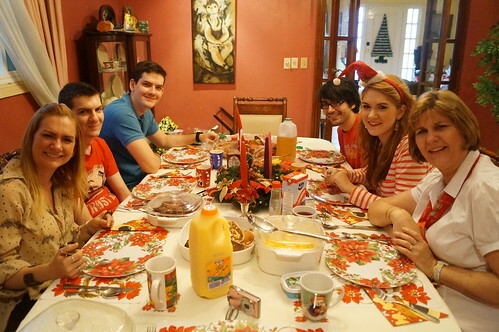 We started the day off by having a delicious breakfast all together. Everything was absolutely scrumptious and you could feel all the excitement in the air. Then we proceeded to admire our Christmas tree and all of the lovely presents underneath. As usual, my parents outdid themselves on the presents. Everything was just fantastic! 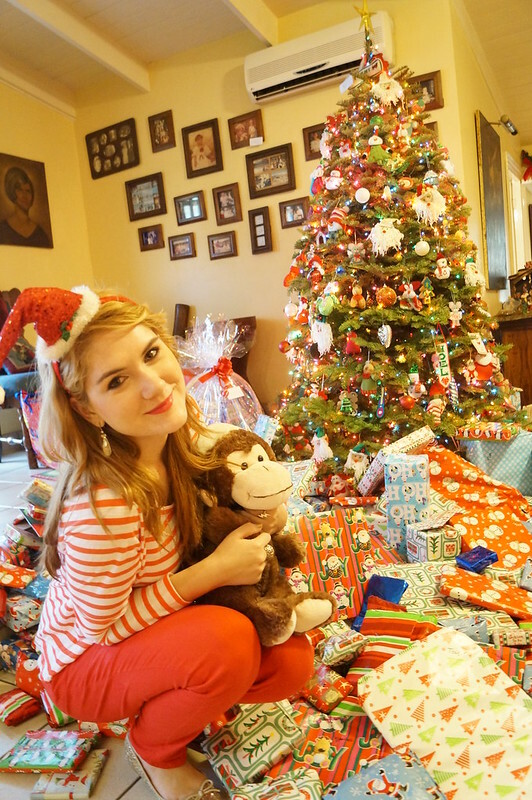 I hope you all had a fantastic Christmas as well! Awee Marie, these photos are so lovely! They really do evoke that family time togetherness which Christmas is supposed to bring. Super awesome memories, for real! 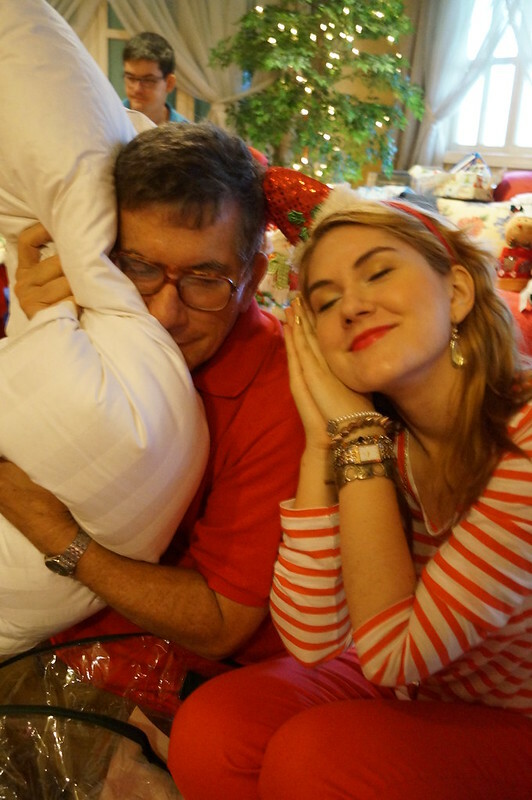 :) I'm glad that your Christmas was so very perfect--it sure looks like it. And your tree looks stuffed (is that a Disney calander I spot? Love it!). 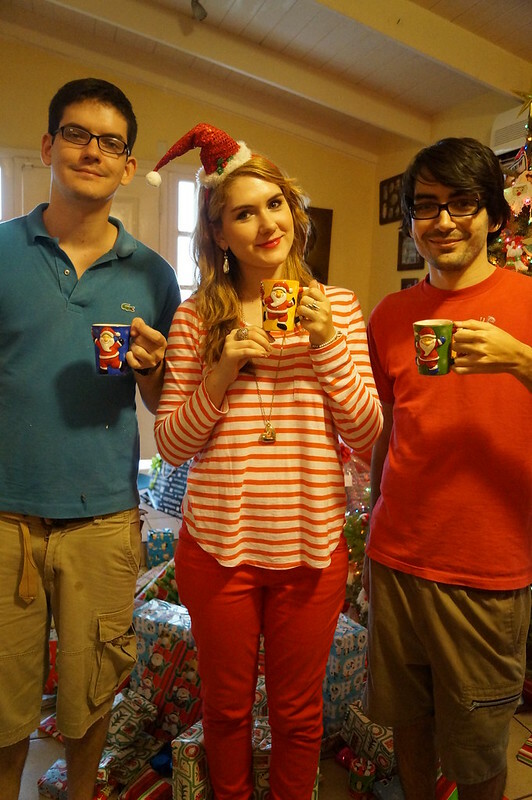 Hehehe, I love you guys' matching cups, too! Woooow! You have such a big and wonderful family! I love how just looking at these pictures one can tell how happy and loving you all are! 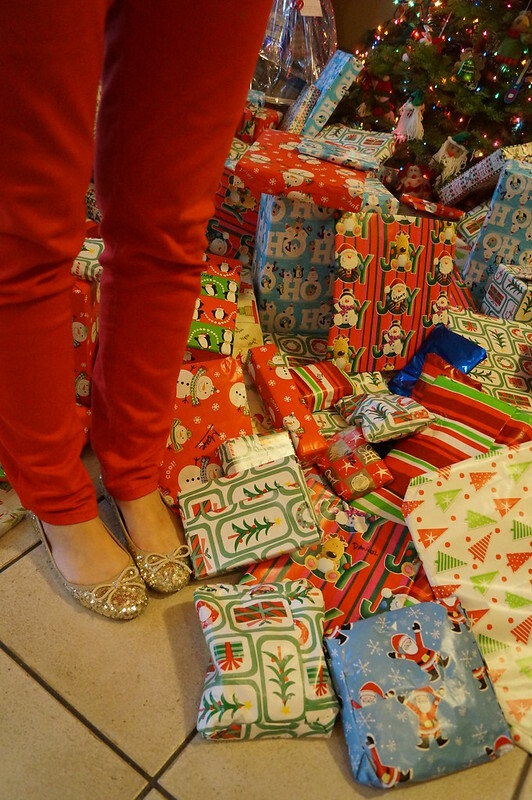 :) And scuh a huge pile of presents! Happy holidays! your family celebrates with such a BANG! I love how happy and festive everyone looks. AND SO MANY PRESSIES! 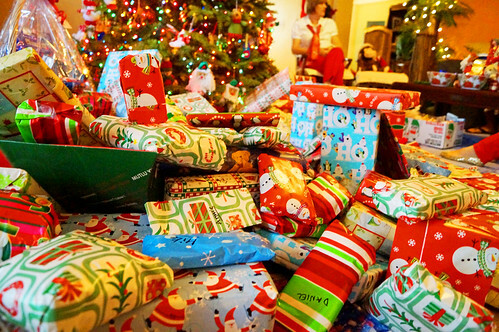 Wow so many presents! 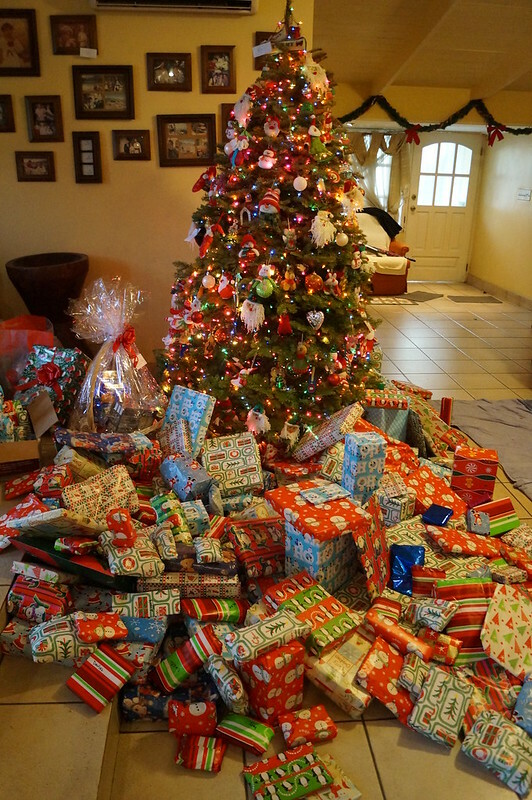 I don't think we ever had that many presents under the tree...lol though there was only the 4 of us growing up. 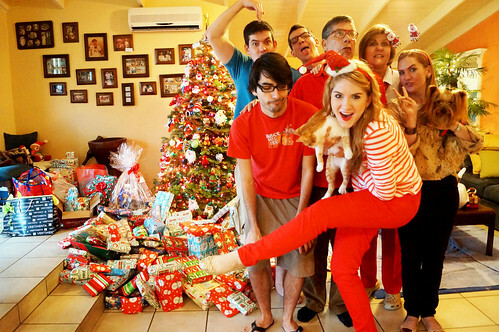 Looks like you had the best christmas, and your family clearly knows how to have a great time together! 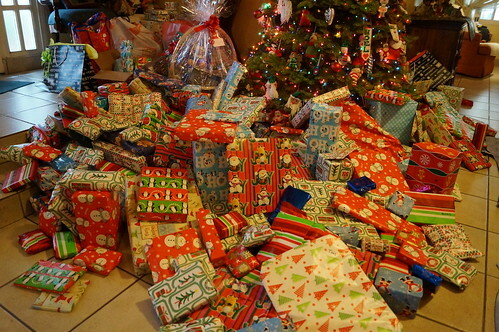 Omg, thats the most number of presents I have seen ever !! Even the decorations in shopping malls with fake presents are not so many. Would love to know what you got ! Thanks for the recent comment on my blog - Now following so we can keep in touch. Hope you can do the same. That is a lot of presents, lol! Glad you had fun and spending time with the family is the best. Thank you so much Ali! It was definitely a lovely time to be together with my family. Why yes, that is indeed a Disney Calendar!! It is filled with beautiful Disney art made by Thomas Kinkade, I fell in love with it as soon as I saw it on Amazon. Anyway, thanks so much for your kind comment Ali, have a great day! Thank you so much!!! I am indeed very blessed to have such a loving and kind family. Hope you had a great Holiday as well! Thank you Heidi!! Yeah, my parents have this tradition of filling the tree with presents. A whoooole lot of them are just simple things like socks, candy, pajamas, etc. Hope you had a great Christmas too! Thank you Ashley, I sure did! Hope you had a great Holiday too! Thank you!!! I'm glad you agree that giving gifts is just one of the funnest parts of Christmas. Hope you are doing well! Thank you!!! It was definitely lots of fun. Hope you had a great Holiday too! Love the festive vibe. All of the photos are so colorful. I love it! Looks like you really had fun! Happy new year! How I love these photos!! You have an wonderful family! Cute pictures!!!! 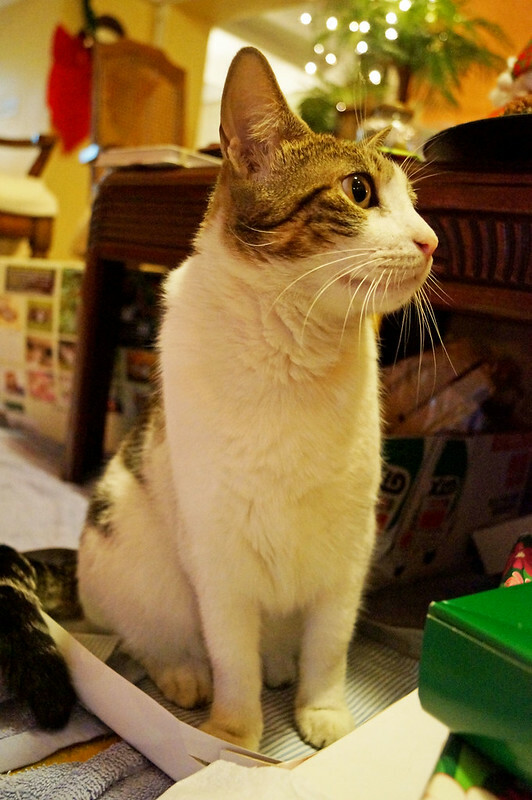 Love your cat too! Thank you for your lovely comment. Ah these are so adorable, love how you've color coordinated to look like one of Santa's adorable elves! I love your Christmas pics - your family tree is perfect! It is cozy and sweet and I love it! Happy New Year! Thank you so much Naghmeh! It definitely was a very special Christmas. Happy New Year to you too! Thank you Melissa!! I indeed had so so much fun this Holiday season. Glad to hear you liked the photos, hehe. Happy New Year! Thank you so so much!! It makes me so happy to hear you enjoyed these photos!! Happy New Year! Hehehehe thank you so much!! Yeah, my family always know how to make me smile. Thanks so much for stopping by. Happy New Year! Aaaaww, thank you so so much!!! I'm so happy to hear you liked it so much, YAI! Look at all of those presents under the tree! I don't think I've ever seen anything like it before. 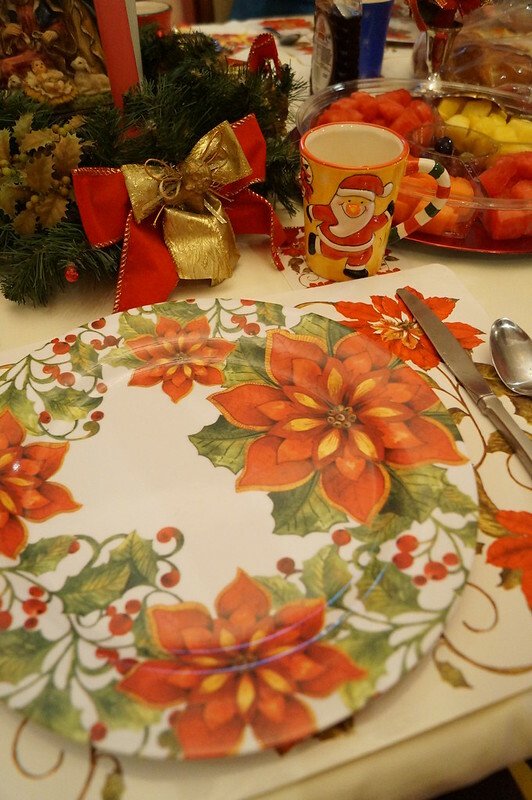 I'm glad that you had a wonderful Christmas with your family. And is that the Thomas Kinkade Disney Calendar I spot?! I LOVE IT! I ordered it, but I got an e-mail it had gone out of stock at the last minute :( I really need to find another place where I can buy it, I looooove Thomas Kinkade's Disney work! Thank you Annabelle!! Yeah, my parents really go all out for Christmas. 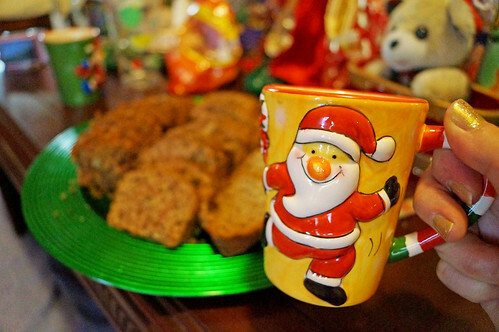 Most of the presents are small little things like our favorite candies, or socks, or stuff like that. And then there are a couple that are the big presents! So its fun to open them all up and see what they are... hehe. Thanks for stopping by! 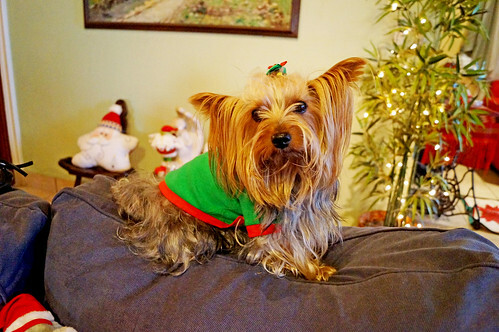 Aaaawww, I'm soooo happy to see that you liked this Christmas post so much Jody!!! 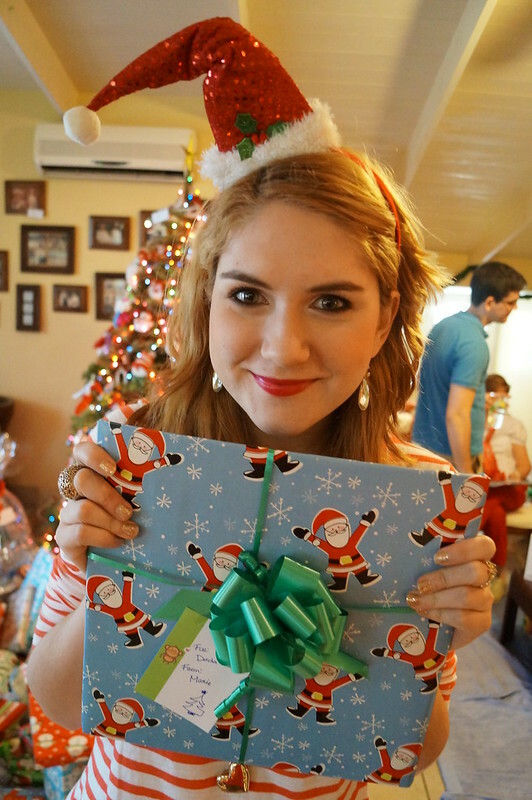 Yeah, I wish it was Christmas again right now! hehehe. Why yes, that is indeed the Thomas Kinkade Disney Calendar!!! I'm in looooove with his Disney art, I even ordered several of his pieces to decorate my room. I'm so sorry to hear that they ran out of stock. I purchased mine on Amazon, have you checked to see if they have any in stock!? Hi Jody!! I just realized that I never saw this reply message from you until now. I'm soooo sorry I didn't respond! To answer your questions, I ordered 5 of the square Thomas Kinkade Disney paintings: Princess and the frog, sleeping beauty, cinderella, beauty and the beast, and I think the fifth was snow white. 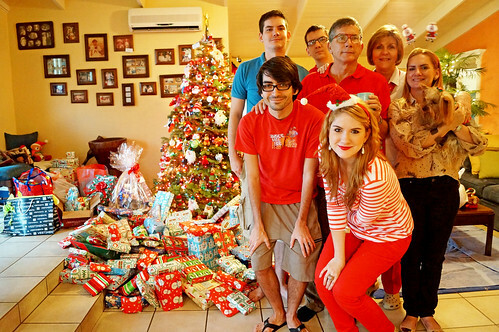 They were all actually presents from different members of my family since they are kind of pricey. I have them stored in a box waiting for the day I can put them up on my wall. Can't wait! 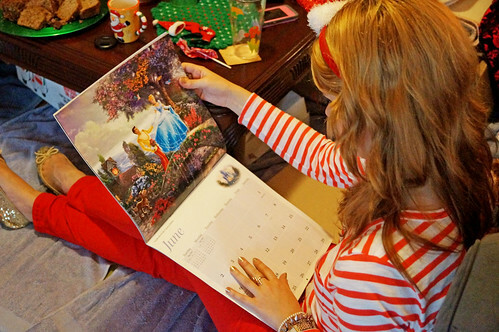 Did you ever find the Thomas Kinkade for Disney calendar?